Antioxidant Supplements: Help Or Harm? The question of whether to take antioxidant supplements has arisen once again. 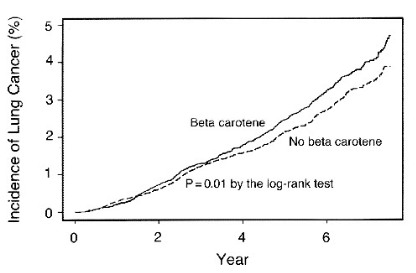 I’ll chart the beginning of this debate back to 1994 when researchers erroneously and disingenuously reported that beta carotene pills raised mortality rates among smokers. That report seemed to be timed to sidetrack legislation in Congress that would spare dietary supplements from being declared drugs. The Dietary Supplement Health & Education Act was passed anyway, which suggests Congressional leaders didn’t even buy into the scientific propaganda. Take note that what makes seemingly alarming headlines today may later be revealed to be part of the ongoing covert anti-dietary supplement agenda. Subsequent studies that dispel any fears over taking antioxidant pills are not likely to make front-page news (which suggests the news media is part of the anti-supplement campaign as well). The current squabble has to do with a Canadian researcher whose research dates back to 2010. Siegfried Hekimi is his name. His research emanates from McGill University in Toronto. Anybody who has studied antioxidants realizes virtually every disease involves the process of oxidation, the creation of imbalanced electrons that produce free radicals from oxygen or even nitrogen, the very air humans breathe, which can damage tissues and induces cell death. Antioxidants lend electrons or bind to metals to counter the problem of what is called a free-radical storm. So out-of-control oxidation is potentially harmful and antioxidant supplements are posed as antidotes. That comprises the antioxidant theory of disease and aging. Cancer chemotherapy produces an intentional free radical storm to kill off cancer cells, though it is very indiscriminate and kills off healthy cells as well. The same is true for radiation treatment of cancer, though it is a bit more targeted than chemotherapy. That is why it is said antioxidants may impair the cancer cell-killing effect of chemotherapy. However, the use of antioxidants during cancer chemotherapy is actually advocated by some oncologists to limit the often terrible side effects of treatment, one which is death from treatment itself. For those antioxidant skeptics who still maintain antioxidants are counterproductive during cancer treatment, they might want to read what oncologist Brian D. Lawenda MD cites. But to get to the heart of the matter, if the human body had to rely upon the provision of dietary or supplemental antioxidants to survive it wouldn’t last long. So the body makes its own endogenous (internal) enzymatic antioxidants (catalase, glutathione, superoxide dismutase) which are the first line of defense against free radicals. To activate these internal antioxidants there must be some mild biological threat to trigger their production. If supplemental antioxidants negate that biological threat these internal antioxidants aren’t produced. As Dr. Hekimi and others point out, it is better that the human body be under some mild biological stress and synthesizes its own internal antioxidants than relying upon antioxidants from foods for pills. When Dr. Hekimi exposed a roundworm to a toxin (an herbicide called paraquat) the worms lived longer, a life-prolonging effect that was negated when antioxidants were added to the worm’s diet. [Cell May 8, 2014] So the antioxidants shortened the worms’ lives but only when compared to being subjected to the biological stress of an herbicide. Certainly Dr. Hekimi isn’t suggesting that for humans. Other common biological threats that trigger the internal antioxidant system can be induced from exposure to mild doses of radiation (radon gas), lack of oxygen (high altitude) and food deprivation (aka calorie restriction). Dr. Hekimi has been refuting the free radical theory of aging for some time now [Cellular Molecular Life Science Jan 2010] He says the generation of free radicals “is not the primary or initial cause of aging.” [Trends Cellular Biology Oct 2011] But his studies do not address what causes aging but rather what prolongs life. Dr. Hekimi has been publishing scientific reports on this phenomenon since 2010 and he sounds like a frustrated researcher for not having talked the millions of antioxidant pill users to stop taking them. Now Dr. Hekimi appears to be on a mission to convince antioxidant advocates to throw away their antioxidant vitamin tablets, but he’s not quite forthright when he omits saying some dietary and supplemental antioxidants are also biological stressors themselves. For instance, the red wine molecule resveratrol (rez-vair-ah-trol) is a molecular mimic of a calorie restricted diet. Resveratrol, via what is known as a gene transcription factor called Nrf2, activates internal antioxidants such as glutathione, heme oxygenase, catalase and superoxide dismutase. [PLoS One July 22, 2013] The paraquat used in Dr. Hekimi’s experiment provokes synthesis of the same internal antioxidants. Have antioxidant supplement users shortened their lives? So have devotees of antioxidant supplements shortened their lives by taking supplemental vitamin C or E? Well it is a stretch to say that since antioxidants are essential for life and the best diet doesn’t provide sufficient amounts for optimal health. For example, the US Department of Agriculture estimates 86% of the American public are deficient in vitamin E. [US Dept. Agriculture] Furthermore, there is not only mortality but also morbidity that can result from a shortage of antioxidants. Tobacco depletes vitamin C so it would make sense that the 42 million smokers in the U.S. supplement their diet with vitamin C. Is there evidence for that? Diabetics typically have low vitamin C levels. An estimated 25.8 million Americans have diabetes. [NIH Facts About Diabetes] Should they take vitamin C supplements? Some studies say yes. Seventy diabetic patients who were taking the anti-diabetic drug metformin had 500 mg of vitamin C added to their regimens twice a day (1000 mg total/day) and this reversed the decline in vitamin C levels and reduced fasting glucose and long-term blood sugar levels (Hemoglobin A1c) than metformin alone. [Advances Pharmacological Science Dec 2011] One wonders why vitamin C supplements aren’t a staple among diabetics. Bottom line, Dr. Hekimi’s message gets lost here because he is so hell-bent against antioxidant supplements. Dietary supplement advocates had better get past their knee-jerk reaction to Dr. Hekimi and learn that nature provides a broad number of molecules that can activate the body’s internal antioxidant system. No, humans don’t have to be exposed to low doses of herbicides to live longer, they can consume Nrf2-activating molecules from green tea, turmeric spice and red wine or wine pills that will do the same. The beneficial effect only works in modest doses. Consumption of 500 milligram curcumin tablets or 1000 milligram resveratrol pills may negate the proposed beneficial effect. Self-induced biological stress must be mild. Maybe when that fact is realized everybody will be living into the tenth decade of life. That will perplex the population control planners. ©2014 Bill Sardi, Knowledge of Health, Inc.